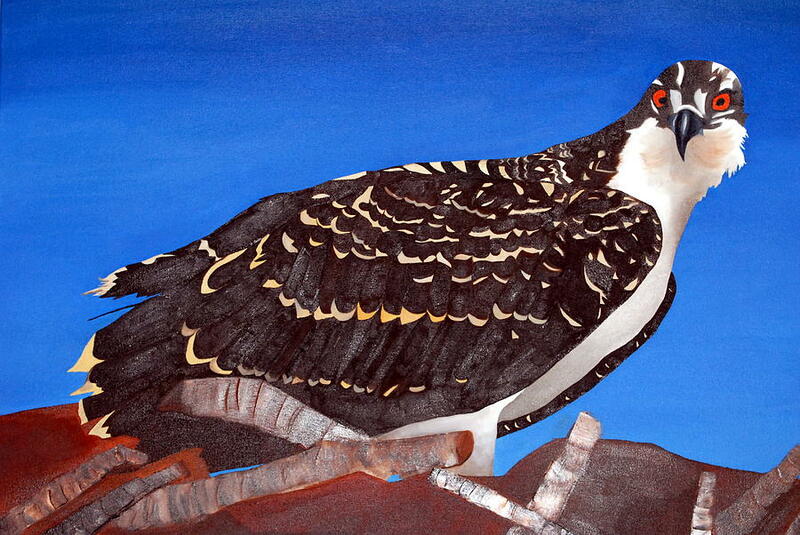 Baby Osprey is a painting by Bridgette Symanski which was uploaded on October 7th, 2010. This original painting is currently for sale. At the present time, originals are not offered for sale through the FineArtAmerica secure checkout system. Please contact the artist directly to inquire about purchasing this original. Thank you, I thought this beautiful creature was stunning, Not quite flying yet, but spectacular!